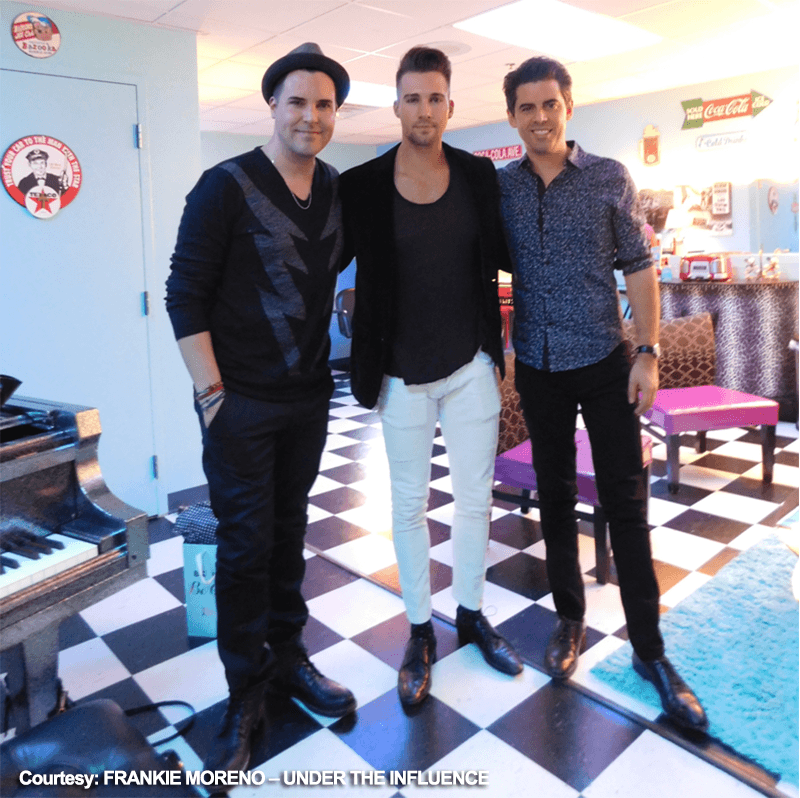 Following the debut performance, the audience met Maslow, Moreno and the band with thunderous applause and a standing ovation inside of the crowded Showroom. ABOUT FRANKIE MORENO ? UNDER THE INFLUENCE: Hailed as “a show you don’t want to miss” by the Huffington Post and an “extraordinary evening of entertainment” by Las Vegas Magazine, twice-named ‘headliner of the year’, Moreno is an all-around talent who puts his heart and soul into his music and leaves audiences begging for more! Blending retro vibes with a hip modern sound, UNDER THE INFLUENCE brings to life Moreno’s very personal path to becoming a Las Vegas Headliner. Each performance features Moreno’s hit-inspired original music and reimagined takes on chart-topping songs, as well as signature choreography and performances by professional dancer Lacey Schwimmer of Dancing With the Stars fame.